As Pakistan’s second most populous province, with the population projected to increase to 61.7 million by the year 2030, Sindh has a lot to achieve. Out of a conservatively estimated population of 46 million, as per the Sindh Population Policy (SPP) 2016, a majority of which resides in urban areas, the actual population has the province bursting at the seams, with massive numbers of people migrating to Sindh, particularly the mega city Karachi. The indexes are not encouraging. Sindh fares lower than the blue-eyed and better governed Punjab when indicators of both provinces are juxtaposed. The developmentally nascent Khyber-Pakhtunkhwa is also showing more promising upward trends. Sindh has had successes, but numbered and calculated. While the Total Fertility Rate (TFR) declined from 5.1 births (in 1990-91) to 3.9 births (in 2012-13) in Sindh, the contraceptive prevalence rate (CPR) for Sindh seems to be stuck in a status quo at 29.5 per cent during 2001-2013. Though 96 per cent of the population is aware of at least one method of family planning, the unmet need for contraception in Sindh is still stuck at 21 per cent. 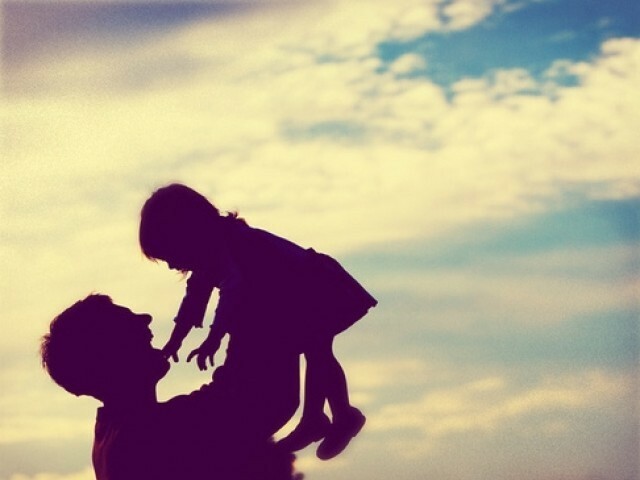 In 2015, 13 million women were of reproductive age (ages 15–49), a number expected to rise to 15 million by 2020. The SPP 2016 shares its high hopes and important but farfetched aims. One of them is to ensure contraceptive commodity security up to 80 per cent at all public service outlets by 2018, while another aims to increase access to Family Planning (FP) and reproductive health services to the most remote and farthest areas of the province by 2017. With almost three quarters of 2017 having passed, this is a good point in time to take a look at the state of family planning in Sindh. At such a time, the Costed implementation Plan (CIP) promises a glimmer of hope — hope that is conditional to implementation. As a five-year actionable roadmap designed to help the Sindh government achieve its FP goals, the Sindh CIP can play a critical tool in achieving targets. Sindh is Pakistan’s first province to develop a CIP on family planning. The motivation, perhaps, is not just the challenges a large population puts in front of Sindh’s developmental efforts. The political will of late prime minister Benazir Bhutto still looms large as an influence over Sindh’s policy makers. “I dream of a Pakistan, of an Asia, of a World, where every pregnancy is planned and every child conceived is nurtured, loved, educated, and supported,” she once said. Looking at data from Sindh, it is clear that one of the most important factors is increasing the awareness among the population. A case in point is that the two most frequently used FP methods in Sindh are female sterilisation and condoms. The government of Sindh allocated PKR 890 million (US$8.5 million) during the last fiscal year (July 2015–June 2016) to CIP activities for 2015–2019. If the CIP, the cost of which is an estimated PKR 79.12 billion (US$ 781 million), does get implemented, the positive ramifications can be immense. It can have an impact not just on the FP efforts, but will also impact health, education, women’s empowerment, employment, as well as demographic and economic activities. Experts predict that if the proposed interventions are carried out, 1,848 maternal deaths and 29,470 child deaths could be averted by the year 2020. Some 1,774,367 unintended pregnancies and 193,332 unsafe abortions could be averted. This is sorely needed. Earlier this year, Dr Talib Lashari, Technical Advisor, Costed Implementation Programme of Sindh Population Welfare Department, shared with members of the media that Sindh’s birth rate is 1,240,467 per year. This high birth rate, he commented, would not only result in poverty, but also in an insufficiency of resources available to the people of the province. The estimated cost of the Sindh CIP includes an infrastructure upgrade and mass media campaign. These two aims will help increase awareness among not just the masses but also help sensitise on-ground staff, medical personnel and government officials towards FP. The hope, then, is to eventually reach a point that results in a change of the mindset and not just the numbers. One of the key tools in the practical implementation of the CIP are the lady health workers (LHWs) who can play an effective role. LHWs carry out layered and multiple roles, and work on activities related to community awareness, maternal health, nutrition, immunisation, FP, as well as providing guidance on minor ailments and health education. They have access into the homes of their communities, and have social impact. A weak infrastructure and social attitudes make mobility of women to the distant and numbered public health units difficult. LHWs fulfill the need to go door-to-door and convince the communities regarding FP. Pakistan’s FP 2020 commitment requires that the role of the LHWs in FP be enhanced. It is encouraging that the CIP team recently concluded that 50 per cent of allocations for the LHW Programme would be dedicated for family planning work, rather than the earlier 25 per cent. Other important parts of this jigsaw puzzle that cannot be afforded to be missed are the Lady Health Visitor (LHVs), Community Midwives, Rural Health Centres (RHCs) and Basic Health Units (BHUs). There are some 22,575 LHWs and 770 Lady Health Supervisors (LHS) working in Sindh. An exhaustive consultative process with stakeholders enabled the PWD and Department of Health (DOH) in identifying six strategic areas for investment in FP, all equally important. They are well planned out and focus on both increasing knowledge and awareness among the communities as well as better governance, improved coordination among the government departments working on it, and consistent government spending on this cause. Looking at data from Sindh, it is clear that one of the most important factors is increasing the awareness among the population. A case in point is that the two most frequently used FP methods in Sindh are female sterilisation and condoms. While people are aware of short-term methods like condoms, pills and injections, the use of these methods remains low, and will remain low till the people are made aware and the contraceptives are made readily available. There are vast disparities in the provinces urban and rural development landscapes. The CPR rate in urban areas is of 42.7 per cent, compared to 17.4 per cent in rural areas. If this province has any hope of attaining success with regards to the Sustainable Development Goals (SDGs) 2030, FP will have to be a key focus. It is hoped that the CIP fulfills its aims, and alongside effective FP, also positively impacts literacy and education in Sindh, as well women’s empowerment via increased work participation and economic self-sufficiency. Posted in Pakistan, Women and tagged CIP Sindh, Costed Implementation Programme, family panning, Family Planning in Pakistan, Sindh. Bookmark the permalink. Death is a regular visitor at the doors of Tharparkar’s mothers. Within the first 10 days of 2016, 17 children died in just the Mithi area of district Tharparkar in Sindh. Between December 2013 and early March 2014, at least 124 lives were lost in Tharparkar, 67 of them at the Civil Hospital Mithi alone. These are just some registered deaths in the most (relatively) developed area of the 20,000 sq km desert comprising the district. And once again, Sindh’s Chief Minister (CM) says these deaths are being exaggerated. This feels like Déjà vu. 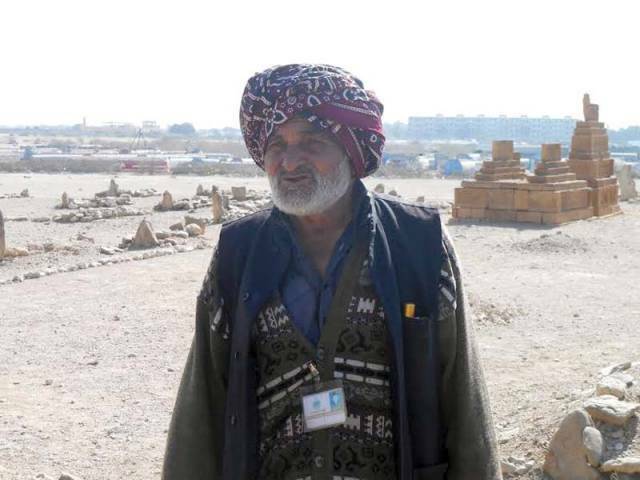 Part of the statement of saeen, as CM Qaim Ali Shah is popularly known as, is probably true – the part that says that the drought is not causing these deaths. That, Mr CM, should be cause for more concern. It’s not that the CM and his team are doing nothing about Tharparkar. They form inquiry commissions, send trucks full of wheat, food supplies and medicines, and I am sure they sack a few officials here and there. While all of this can and does help, that help is very temporary.Saeen continues to apply band aid on the wounds of Tharparkar. The wounds inside continue to fester. None of the measures being taken for Tharparkar seem satisfactory and sustainable. For those who know even a little about the beautiful but desolate Tharparkar know that if at all, the district were in a state of drought, that would be just a miniscule part of its issues. In March 2014, many reasons for the deaths of the ill-fated children were stated by medical officials at Civil Hospital Mithi. Reasons like sepsis, blood infections, pneumonia, premature births and asphyxia. Why did these children not have even basic medical assistance is the question. Where were the first aid and the tetanus shots that could have helped the kids who died of sepsis? Why were the children not clad warmly enough, and pneumonia killed them? If according to the Provincial Disaster Management Authority (PDMA) director general, the newborns carried infections due to deliveries in unhygienic conditions at their home, why are mothers in Tharparkar still giving births at home? Why are there so many premature births in the first place? Quoting people working on ground level in Tharparkar, open defecation is one of the major problems that causes up to 80 per cent of diseases reported in the rural areas of Tharparkar. This was shared by social activist Mohammed Siddique Rahimon in December 2015, at an event in Umerkot district where local experts discussed how poor infrastructure, a thin network of basic facilities and open defecation are among the major causes of endemic diseases. Umerkot faces the same predicaments as Tharparkar. Purchasing substandard and expired medicines and supplying these to patients is another cause of death, according to information shared by Association for Water, Applied Education & Renewable Energy (AWARE) that works at grass root level in Tharparkar. It is no secret that a large proportion of the population in Tharparkar does not have access to clean, uncontaminated and enough water. Water with high levels of arsenic among other contaminants in the merciless desert of Thar, when used for drinking, preparing food and irrigation of crops, cripples and kills those who consume it over long periods of time. Is that too not the government’s responsibility? 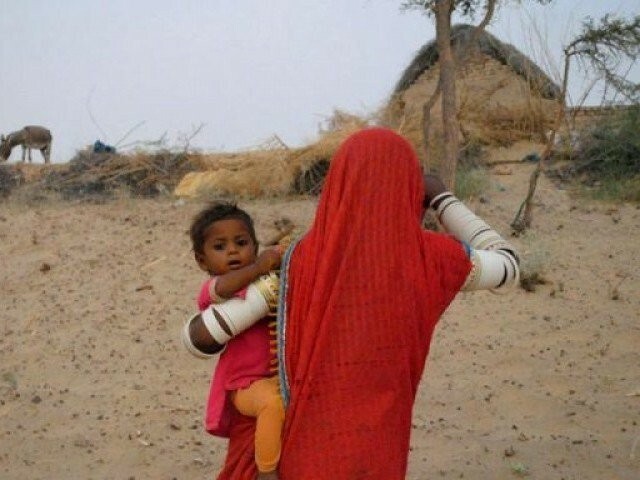 But perhaps the biggest reason of disease and death in Tharparkar is malnourishment of its mothers. CM sahib says that if there was drought and lack of healthcare facilities, then men and women would also have suffered equally. Sir, your team is aware that mothers in Tharparkar give births while their haemoglobin level is as low as four. When the mothers are so anaemic and undernourished, what hope do the children they give birth to have to survive? The CM is right when he says that the death of these children are largely on account of maternity-related complications and not from hunger or lack of food. But who, I respectfully ask those in-charge of governing Tharparkar, will make sure that maternal mortality is controlled in Tharparkar, and the mother is healthy and strong enough to bear a child? The infants may not be dying of hunger, but they have no immunity to fight back any attack of weather and disease, as they are given birth by weak mothers. The first step towards solving a problem is recognising it. The problem lies in bad governance and the government not taking ownership of the painful condition of areas that come in its domain. We request those responsible to take note and step up their game for a holistic solution to the problems of Tharparkar and similar areas in Pakistan before more innocent lives are lost. Posted in Children and tagged AWARE Tharparkar, Chief Minister Sindh, drought in Tharparkar, drought Tharparkar, food insecurity, Mithi, Pakistan, Qaim Ali Shah, Sindh, Tharparkar. Bookmark the permalink. Yesterday, I tasted my first mango of the season. It was like falling in love all over again. I was sitting on an elaborate dastarkhwan on a 10th floor apartment’s spacious balcony in inner Karachi. “Saroli is the most amazing mango, is it not?” asked the elderly host. I sheepishly begged to differ. I am a biased Sindhri lover. 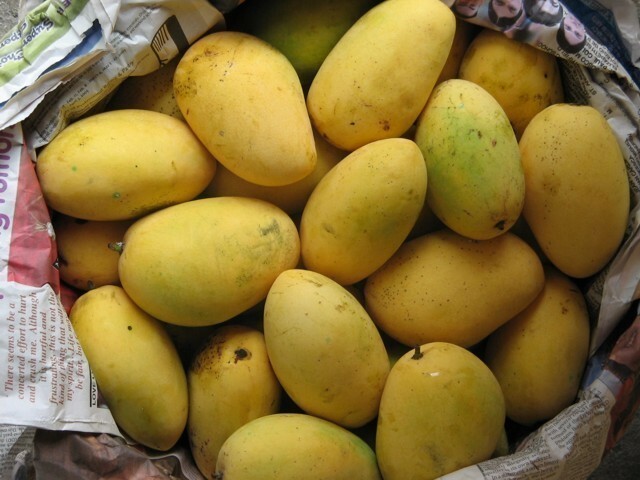 Every year, the sweltering May heat that becomes unbearable as June comes closer, is a blessing for Mango lovers. This sentiment resonates inside so many of us. And of all varieties of this fruit of paradise, there are mangoes and then there is the Sindhri. Sindhris are a generous size; sweet but not sickeningly so, therefore you can easily have more than one – unlike its more sugary counterparts. Other mangoes may be sweeter but none beats the Sindhri for me. Or maybe, it is just the Sindh running through my veins that gives me my biased taste buds. I have heard that one a lot. I have been taught to eat the Sindhri in every way possible by my parents. Hard-core mango lovers have it with rice (a very Sindhi tradition) and with parathas, for breakfast, lunch and dinner, at teatime and even for sehri. It doesn’t have irritating fibres that get stuck between the teeth and allows itself to be eaten in so many forms; you can slice it, cube it or blend it. It is such a cooperative variety. But then, can we really blame it for being so amiable? It is from the valley of Mehran, and so the Sindhri is a reflection of the people that sow it and care for it, and pluck it off trees and keep it wrapped in hay shreds till the green becomes a vibrant yellow, bit by bit. Sure, it has its shortcomings, like its people, and it’s not perfect; too fattening, too addictive, a bit overly sensitive but very pluralistic, congenial and adjusting. That’s what’s beautiful about it; it maintains its own but mingles with other flavours too. Lower Sindh is the largest mango-producing belt in the country. This year, estimations show that around 40% of the crop has been damaged because of heavy rains. Sindh’s production is expected to go down to 0.55 million tons from 0.64 million tons. But hopefully, there will be enough Sindhris to go around. 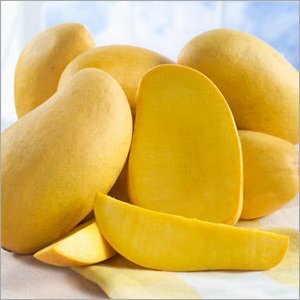 The export season of Pakistan’s mangoes starts from May 25. Experts expect that the country will earn $65 million at the end of the season. The Pakistan Fruit and Vegetable Exporters, Importers and Merchant Association (PFVA) have kept this season’s mango export target at 175,000 tons. However, this year, the focus will be on quality rather than quantity after neighbouring India’s mangoes were banned by EU-wide countries due to an incidence of non-European pests in India’s export. Pakistan’s largest export market in mangoes is Europe, where it exports about 24,000 mangoes annually. 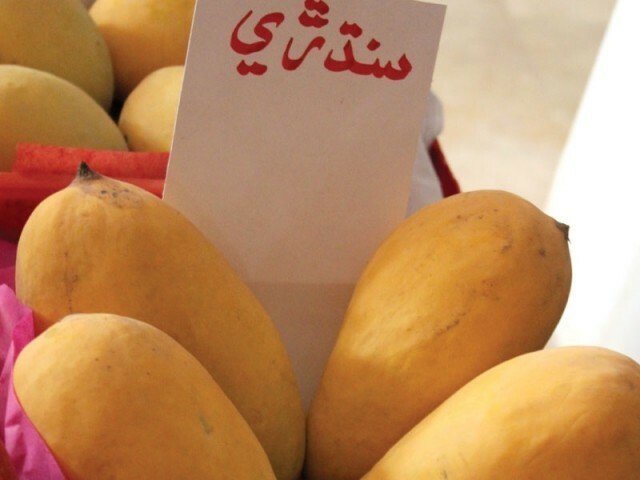 Why are Pakistan’s Sindhri mangoes so sweet? “The hotter the summer, the sweeter the Sindhri,” my father used to say, every time he returned home from orchards he caringly looked after. Standing for hours at stretch in the sizzling 45 degrees plus heat of interior Sindh in summers had him many shades darker every time. “You’ll get sick, abba. The workers can do it! Why must you stand in that heat?” we’d say to him. “Sons of the soil don’t fear the heat. It makes the mangoes only sweeter,” he’d say with a smile. The real secret of the Sindhri is, and it is no surprise there, that it bears so much heat. (Heat cuts through heat. The mango has an inherent heat-producing effect. Therefore, only heat can bring out its sweetness). These words, which classical singing maestro Ustaad Naseer Saami said to me recently, have much wisdom in them. Calcium carbide powder and other ripening agents used to ripen mangoes and other fruits are almost deceitful. They are harmful to human health and the sweetness tastes forced, almost like fake smiles. One must, therefore, wait patiently for the actual mango season to arrive. This is true for not just the Sindhri but all mangoes of Pakistan. Just like its people. The heat of difficulties eventually makes us more seasoned. Without having been through tough times, humans are unripe. Given time, may be one day Pakistanis will be the best in the world, just like the country’s mangoes, because only the heat can bring out the best in the Sindhri. Posted in Foodie Funda and tagged mango, mangoes, Pakistan, Pakistani mangoes, Sindh, Sindhri. Bookmark the permalink. They are a generous size….and sweet but not sickeningly, so you can have more than one, unlike any of it’s more sugary counterparts….other mangoes may be more sugary but none is sweeter than the Sindhri to me. Or may it is just the Sindh running through my veins that gives me biased taste buds. It doesn’t have irritating fibres that get stuck between the teeth….it allows itself to be eaten in so many forms…You can slice it, cube it, blend it. It is such a cooperative variety. It is from the land we call Mehran…..and so the Sindhri is a reflection of the people that sow it and care for it and pluck it off trees and keep it wrapped in hay shreds till the green becomes a vibrant yellow, bit by bit. Sure, it has it’s shortcomings like it’s people, and it’s not perfect. Too fattening, too addictive, a bit overly sensitive. But seriously very pluralistic, congenial and adjustable. I have been taught to eat the Sindhri in every way possible by my parents….at breakfast with paratha, at lunch with boiled rice, at dinner chilled with cream….or just as is. And it adjusts! That’s what’s beautiful about it….maintaining it’s own but mingling and letting itself be moulded. But the real secret of the Sindhri is, and it is no surprise there, that it bears so much heat. “The hotter the summer, the sweeter the Sindhri,” my father used to say, every time he returned home from orchards he caringly looked after. Standing for hours at stretch in the sizzling 45 degrees plus heat of interior Sindh in summers had him many shades darker every time. “You’ll get sick, abba. They can do it! Why must you stand in that heat?” we’d say to him. “Sons of the soil don’t fear the heat. It makes the mangoes only sweeter,” he’d say with a smile. I am biased towards the Sindhri. But that is true for all mangoes of Pakistan…..just like the country….just like it’s people. The heat of difficulties, I pray to Allah, will eventually make us sweeter. May be we are not ripe yet. Still a little green. Still a little undone. But given time, we will be the best in the world, because the heat “only makes the mangoes sweeter”. Posted in Foodie Funda, Straight From The Heart and tagged aam, Chaunsa, Langra, Pakistan, Pakistani mangoes, Sindh, Sindhri. Bookmark the permalink. ISLAMKOT: As he tries to get up from his bed, no more than a threadbare ralli on the floor, Ramesh reaches out for his cane. Once up, he cannot stand straight. Though his full height is some 5 feet 8 inches, he is bent over so much that he seems only half as tall as he really is. He tries to manage a smile which only exposes discoloured and decayed teeth. He is 34 years old. Nearby his mother, 53-year-old Hurmi, cannot walk at all, and is forced to crawl on the ground. This is not just the story of one house or one family. This is the story of each and every household in village Sammon Rind in tehsil Chachro, Tharparkar, about 480 km from Karachi. Almost all of the 3,000-plus people here walk with their spines bent, unable to stand up straight. The reason for their suffering is the very substance that sustains life itself: water. And in this village, every drop is tainted. A timeline of Ramesh’s life is typical of almost all residents of this area. The highly contaminated water first affects the teeth, which start becoming deformed around the age of five to seven. Between 12 to 15 years of age, bone deformities start setting in. Coupled with the harsh and hot desert climate and chronic malnutrition, even adolescents start acquiring a shriveled appearance, mimicking old age. By the time they are 25-year-old or above, almost all of them walk with their spines bent. Water, the source of life, has ended up crippling not just their bodies but their dignity and their chance at a normal life. And no one seems to care. Former Secretary General of the United Nations Kofi Annan once said that contaminated water jeopardises both the physical and social health of people, and is therefore “an affront to human dignity”. The reality of this remote part of Pakistan is that no head is held up high, literally. Seeing the standards the World Health Organisation (WHO) has set for water safe for human consumption, one is forced to wonder how people in villages like Samoon Rind and Mau Akheraj in parched Tharparkar are still alive. But a look at their lives makes one wonder if this can be called life at all. High fluoride content is mostly the culprit. According to the WHO, fluoride levels above 1.5 mg/l cause Fluorosis resulting in the pitting of tooth enamel and deposits in bones. Above about 10 mg/l causes crippling skeletal Fluorosis. In Tharparkar, fluoride content is found to be up to 31 mg/l. Many of these victims suffer from diseases of “jaws, bones, teeth, liver, kidneys – contaminated water can affect all organs and these effects can be irreversible,” says orthopaedic surgeon Dr Tayeb Asim. The arsenic contamination of underground water in Thar has been confirmed by United Nations International Children’s Education Fund (UNICEF) and chronic arsenic poisoning is considered to be a serious health emergency. The WHO consumption limit for Total Dissolved Salts (TDS) is 1500 mg/l. But more than 50% of the population in Tharparkar is getting water that has TDS of more than 5,000 mg/l. In village Narowari, the water’s TDS content can go as high as 20,000. “The people of this area have been struggling to draw attention to these problems but all we get is promises. Governments come and go but no one does anything to help us,” says Ali Akbar, Executive Director, Association for Water Applied Education & Renewable Energy (AWARE), who has been working closely with effected communities. He mentions the likes of Nisar Khuhro and Sharmila Faruqi giving commitments that never materialised. In January, locals went on a hunger strike in Mithi when they heard that President Asif Ali Zardari was expected to visit, but he never came. The preferred option is to find an alternative water source with lower Fluoride levels, as it is difficult and expensive to reduce a high natural level of fluoride in water. If there is no other possible or cost-effective source, de-fluoridation must be attempted to avoid the toxic effects. Digging deeper wells, rainwater harvesting, and installation of de-fluoridation and desalination plants is what should be done urgently. • Tharparkar is ranked by the World Food Programme as the most food insecure of Pakistan’s 120 districts. • 89% of underground water in Thar is not fit for human consumption. • On an average, 3 people from each household spend 3-5 hours daily to fetch water for human consumption and watering the animals. • Women and children have to pull the rope by hands. Published in The Express Tribune, May 19th, 2013. Posted in Health, Human Rights, Pakistan and tagged brackish, contaminated, contaminated water, minorities in Pakistan, Pakistan, Safe water, Sindh, Tharparkar. Bookmark the permalink.